Hi friends! This combination of herbs, Mint-coriander is a basic and easy-to-make chutney that is perfect for using as a dipping sauce with pakoras, cutlets and many other snacks and sandwiches. 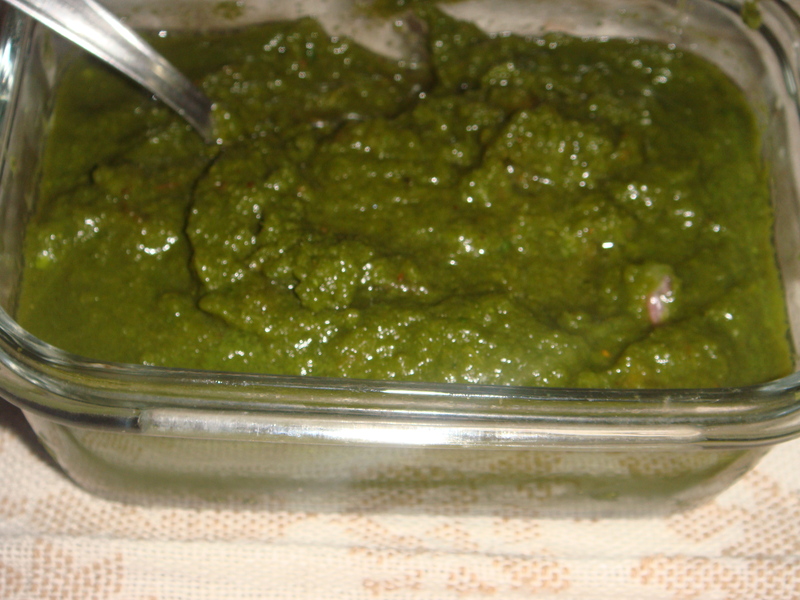 Wash well Dhaniya /coriander/ Cilantro and Mint / Pudina leaves ,and finely chop them. Keep aside. Wash, trim ends, remove stems and chop the green chilies. Put chopped coriander and mint leaves along with the green chilies in a grinder. Add 1/4 cup water in the grinder and process until you have an even paste. Remove from grinder into a serving bowl. Add salt and sugar. Stir in lemon juice. Serve with, pakoras, cutlets, kebabs, etc. Note: It makes an excellent sandwich spread with processed cheese slices etc. The aroma and flavour of coriander or dhania help it gain a very useful place in the kitchen. It is known to help with anaemia as it is a rich source of iron and a strong immunity enhancer. Being rich in various vitamins and minerals, it is a great detoxifying agent and has dermatological benefits too. Fresh coriander leaves can be used for garnishing or coriander seeds can be used for cooking. Mint or pudina is a classic herb used in a variety of cuisines. It’s refreshing aroma and flavor make it a very popular addition to juices and smoothies. It is used to cure digestive ailments and maintain oral health. These small leaves are a powerhouse of vitamin, dietary fiber and iron. It also keeps your skin radiant and hair healthy. Consumption of mint extracts like in tea is known to provide relief from headaches and migraine attacks.